my Ink well: Let's Celebrate! 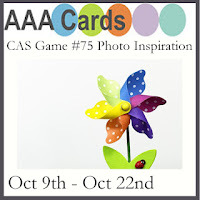 It's time for an new challenge at AAA Cards CAS Challenge Blog! Our theme for Game #75 is a photo inspiration. 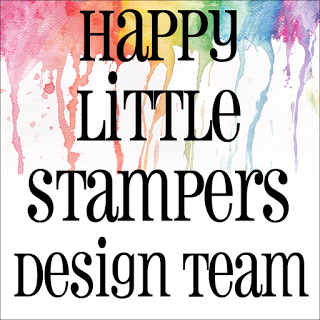 Our wonderful sponsor is Happy Little Stampers. 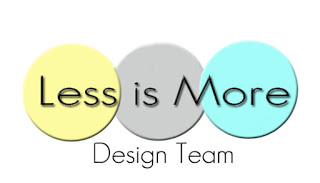 Our first place winner will receive a $20 Gift Certificate from the HLS Store. 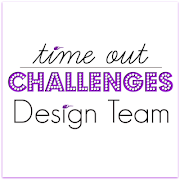 Our Guest Designer is Katerina from Make A Wish. Her challenge card is fantastic, as are the creations of the AAA design team. 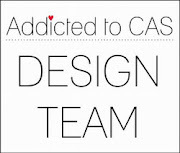 Please head on over to the AAA CAS Challenge Blog and take a look! I had a rainbow watercolored panel in my "snippets box". I die cut it with this wonderful star garland from Reverse Confetti. After gluing it onto the white linen cardstock panel, I added clear WOS to the stars. You can't see it in the pic, but it gives it a wonderful little sparkle. The sentiment is from Winnie & Walter's The Party. I hope you'll join in on this fun challenge at AAA Cards. Remember to keep it CAS!!!! 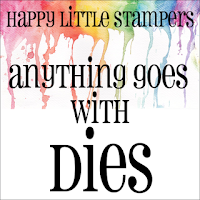 I am also linking up to Happy Little Stampers October Anything Goes With Dies Challenge. Superb take on the photo and wonderfully CAS. It is such a shame it is so hard to take a photo showing the shine. I don't think I know anyone who has mastered it yet! I love your rainbow star garland! Such a bright and fun card, Stephanie! I love the star banners and the colours are great. Super! Love those star banners and they look so pretty in the photo inspiration colours. Oh, how festive and fun this card is. Love those star banners, and the different colors all blended together. I love this, it's gorgeous! The die and colours are perfect! I love your card! So stylish. 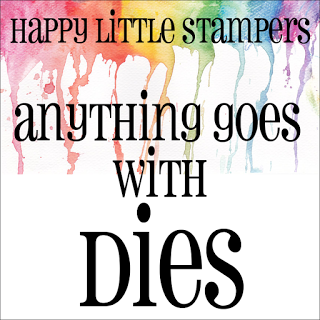 Thank you for joining us at Happy Little Stampers Anything Goes With A Die. WOW! What a fantastic transformation of your water-coloured snippets into beautiful starry garlands! So eye-catching and ingenious! 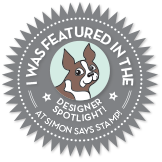 I have that RC die and am embarrassed to say it's not received much attention at all! Time to change that! Thank you for the inspiration! 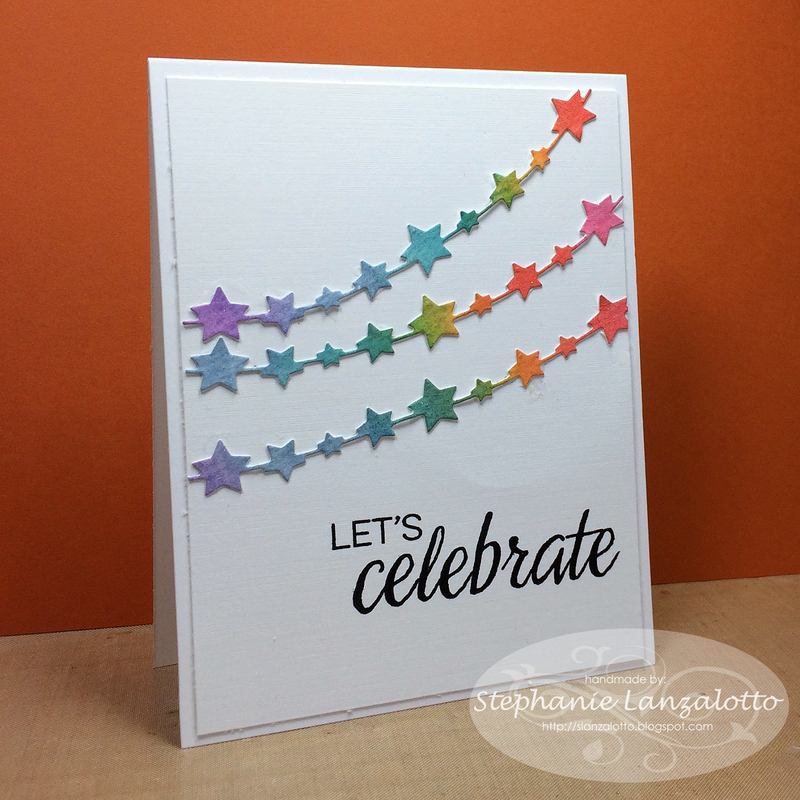 What a sweet and pretty rainbow star garlands. Thank you for playing along with HLS Anything Goes with Dies!